Although they often dream of that utopic, Apollonian ideal—“We could fly away / wouldn’t it be wonderful,” as they sing on “Rocking Chairs” — what they more readily approach is the conflict. Branches fantasizes about what could be, but oscillates and retreats to appreciate the duality between the fantastic reverie and the sometimes solemn reality. But, through tiered harmonies and guarded, restrained vocal strokes and lyrics embedded in themes of jaded mortality (especially on the rogue littany “Going Home”), hope prevails. 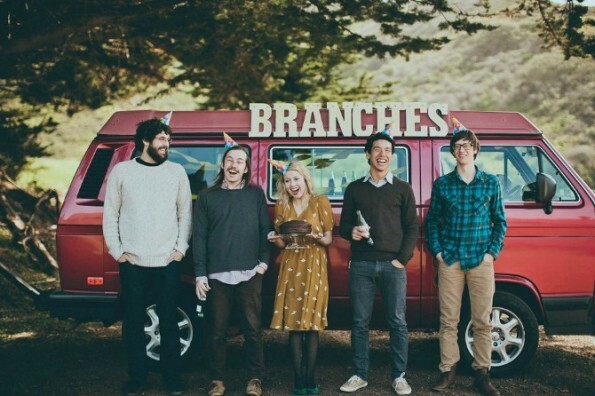 Catch Branches at Oysterfest on June 1st in Golden Gate Park.